The Feral Cows, formerly known as the FlamingO's, were formed in the fall of 1996 by members of the "Websters" team, which had been formed earlier that summer by women from Spinderella plus various male friends. Other Websters players went on to form RippIt. Our players come from all over the San Francisco bay area. We compete in most local coed tournaments, and a handful of major away tournaments each year. We have structured practices, and a fairly conservative offensive style. Practices are ``open by invitation''. Experienced male and female players are always welcome to try out. Contact Adrian Wolff or Tom Nolan if you are interested in the team. Local field directions and maps. 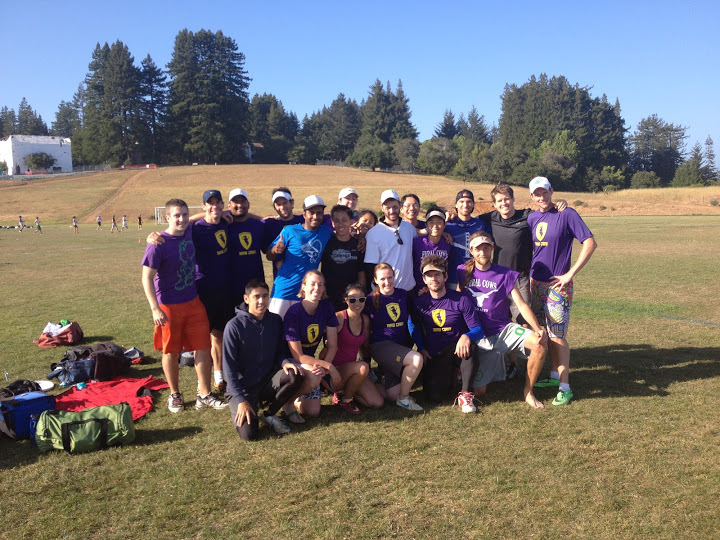 The South Bay Winter League and the San Francisco Ultimate Club. The UPA's upcoming tournaments page, and DiscNW's events page. Useful sports medicine info: training tips, physical therapy, nutrition. For bridge players, The Pink Palace.